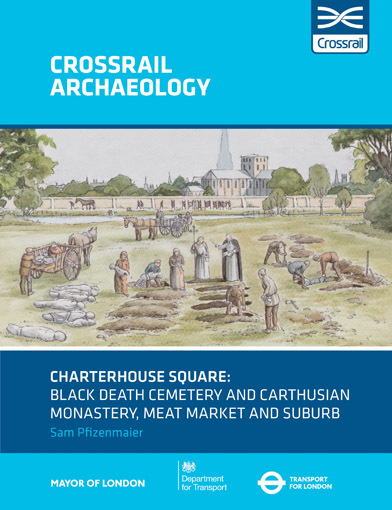 Soon-to-be published research undertaken by our archaeologists who excavated the new Elizabeth line station at Liverpool Street reveals stories of bodysnatching and religious dissenters at the New Churchyard. The burial ground, situated on the site of modern day Liverpool Street, was excavated in 2015 during construction of the Crossrail Broadgate station entrance.The full findings are due to be published in ‘The New Churchyard: from Moorfields marsh to Bethlem burial ground, Brokers Row and Liverpool Street’ later this year. The New Churchyard was a municipal and non-parochial burial ground established in 1569 to relieve existing churchyards. People from all walks of life were buried there but especially those at the margins of society, including religious dissenters, the poor and countless plague victims. It is estimated that by the time it closed in 1739, 25,000 people had been laid to rest there. Archaeological excavation and historical research have exposed fascinating new details on the story of bodysnatching in London. The research has exposed the earliest known prosecution for bodysnatching in London - which occurred almost 100 years earlier than previously thought - and excavation work has uncovered what is understood to be the earliest archaeological evidence of preventative measures taken to thwart bodysnatchers. Before 1752 very few dead bodies could be legally obtained for medical dissection and surgeons were restricted to those of executed criminals. By the early 18th century supply could not meet demand and a lucrative and flourishing illegal trade in corpses emerged in London. MOLA’s research charts the rise of the so-called ‘Corporation of Corpse stealers’ – London’s gravediggers making a handsome profit from bodysnatching. One such character was Joseph Bowen. He was prosecuted in 1717 for stealing a body from the New Churchyard and attempting to sell it on for dissection. Bowen probably received sixpence for digging the grave, but was promised one guinea for exhuming the body and delivering it to the surgeon. While excavating the burial ground, archaeologists uncovered a sand-filled coffin topped with heavy stones. This discovery is rare archaeological evidence of the preventative measures taken to thwart bodysnatchers. Dating evidence suggests that this burial probably occurred during 1720–1739 and indicates that the citizens of London were deeply fearful of the bodysnatching by this time and the discovery adds to our understanding of how this fear was managed. The Clitherow family were keepers of the burial ground from 1636–1740. Although there is no evidence that they were complicit in bodysnatching, it is clear they operated various moneymaking schemes and ‘irregular practices’ throughout their tenure: they overcharged for burial, allowed locals to dry cloth in the burial ground, and disturbed burials to build themselves a house and outbuildings. The family were also shopkeepers and turners by trade and worked bone and ivory to create various small household items like needle cases, parts for small novelty telescopes and fittings for furniture. Archaeologists discovered over 4,000 pieces of bone turning waste in with burials that suggest that Clitherows were fly-tipping in the burial ground and perhaps even providing a waste disposal service for the neighbourhood. Today these discarded items offer unique insight into the local industries, market, fashions, tastes and trends of the time. "After many years studying my London Clitherow ancestors I feel incredibly lucky that MOLA's research has now shed new light on our intriguing and exciting family history, and gives a fascinating insight into the daily lives of our ancestors"
MOLA’s research also explores the histories of some of those buried at the New Churchyard which was especially popular with religious dissenters. One of the more eccentric people interred at the burial ground was Lodowicke Muggleton, self-proclaimed prophet and founder of ‘Muggletonianism’. His funeral was witnessed by thousands of spectators in 1698. The New Churchyard was also strongly associated with the Leveller movement. William Walwyn and John Lilburne, two prominent and oft-imprisoned Leveller leaders, were both buried at the New Churchyard. Lilburne was a Quaker and his corpse was placed in a plain wooden coffin which was carried head-first to the New Churchyard to be interred ‘without Christian burial, or any ceremony’. Construction of London’s newest railway, the Elizabeth line, has given archaeologists a unique chance to excavate some of the capital’s most historically significant sites. 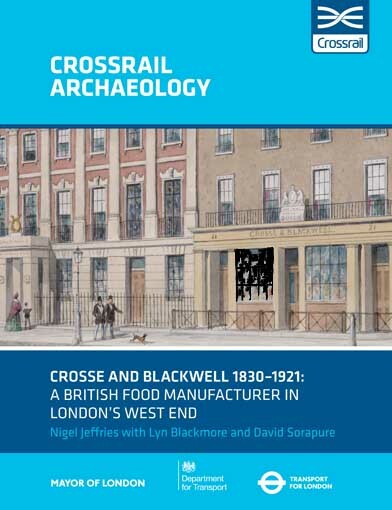 Since work began in 2009, the Crossrail project has undertaken one of the most extensive archaeological programmes ever undertaken in the UK, with tens of thousands artefacts shining a light on almost every important period of history. The book will be available to buy from www.mola.org.uk/publications later this year. Crossrail programme highlight: how do you analyse 3300 skeletons?